The manuscripts in all the subject areas are welcome. Moreover, submitted manuscript must not be previously accepted for publication elsewhere. The authors should ensure that they have written entirely original works, and if the authors have used the work this has been appropriately cited or quoted. Submit the paper/article electronically as attachment: SUBMIT ONLINE or on E-mail ID of the Managing Editor as per all instructions following as under. Language: Hindi, Gujarati, Marathi, Punjabi, English. Page Format: A4 pages, Single/Double column – single spaced type, line spacing – 1.0 , Narrow margin. Font Size: 18 points and Bold, for subtitles and Content of article: 12 points Bold, theory: 12 points. Size of Submission: Paper / Article file should be approx 15 pages/4500 words/5 MB as per publication charge available on website ( For above limit file publication charge will be extra), In any case the size of the file should never exceed 30 pages/15000 words/10 MB owing to file restriction implied. Author’s Name, Email, Contact Number, Designation, University/College, State, Country. Author name(s), Designation, Department, Institute/University, State, Country. Abstract: This section should detail the problems, experimental approach, major findings and conclusion in one paragraph and should appear on the second page. The abstract should be 100 to 250 words in length. Complete sentences, active verbs and the third person should be used. The abstract should be written in past tense. Standard nomenclature should be used and abbreviations should be avoided. Avoid abbreviation, diagram and references in the abstract. Keywords: Author(s) must give 4 to 10 key words which can identify the most important subjects covered by the paper. They must be placed at the end of the abstract. A list of non-standard abbreviations should be added. In general, non-standard abbreviations should be used only when the full term is very long and used often. Each abbreviation should be spell out and introduced in parentheses the first time it is used in the text. Only recommended SI units should be used. Authors should use the solidus presentation (mg/ml), Standard abbreviations (such as ATP and DNA) need not be defined. Introduction: The introduction should set the tone of the paper by providing a clear statement of the study, the relevant literature on the study subject and the proposed approach or solution. The introduction should be general enough to attract a reader’s attention from a broad range of scientific disciplines, abbreviations should be included. The manuscript should include the purpose of the investigation and relating the manuscript to similar previous research. Only information essential to the arguments should be presented. Literature Review: This section should contain paper / article related other past research works with respective author names and other details. Methodology: This section should provide a complete overview of the design of the study. Detailed descriptions of materials or participants, comparisons, interventions and types of analysis should be mentioned. However, only new procedures should be described in detail; previously published procedures should be cited and important modifications of published procedures should be mentioned briefly. Capitalize trade names and include the manufacturer’s name and address. This section must contain specific details about the materials studied, instruments used, specialized source and related experimental details which allows other research worker to reproduce the results. Obtain permission for all fully borrowed, adapted, and modified tables and provide a credit line in the footnote. Results and Discussions The results should be concisely presented. Results and discussion may be separate or combined based on the author’s requirement. Tables and figures should be designed to maximize the comprehension of the experimental data. The interpreted results should be explained clearly in discussions and should relate them to the existing knowledge in the field as clearly as possible. Tables, Graphs and figures (Illustrations) should be inserted in to the main text at respective place they should appear when published and should have appropriate numbers and titles with an explanatory heading. Labels of the table, graph and figures MUST be in the text form and should not form part of the image. Colour photographs and illustrations (line drawings, halftones, photos, photo micro-graphs etc.) must be clean originals or digital files would be charged that may be intimated along with the acceptance letter. Those photographs must be clear and sharp. Digital files are recommended for highest quality reproduction. Results should be presented with clarity and precision. The results should be written in the past tense when describing findings in the author(s)’s experiment. Previously published findings should be written in the present tense. Results should be explained, but largely without referring to the literature. Discussion, speculation and detailed interpretation of data should not be included in the results but should be put into the discussion section. Acknowledgement (if any): This section can be kept at the end of the manuscript before reference section. This section can be used to acknowledge the help of those who do not qualify for authorship or to acknowledge funding, donated resources or significant contribution to the research. References: ( MLA / APA Style ) References to the literature cited for the manuscript should be numbered in order of appearance in the manuscript and cited in the text with superscript numbers. The reference number should follow the following format. Anil S. (1999): Ethics in Tenali Rama’s comic stories, Shikshansanshodhan: Journal of Arts. 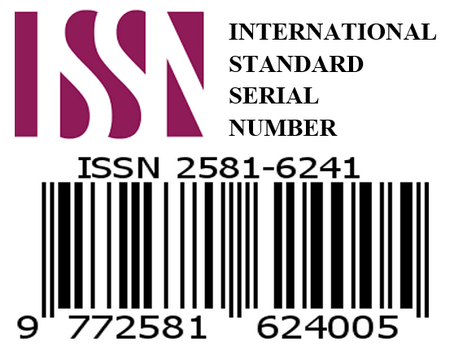 Vol-1, Issue-1, pp. 21-25. Shah R., and Ramesh G.R, (2008): Article title, Journal of Social Sciences, 23(2), pp. 12-15. S.Gupta. (2006): Introduction to human Research, 3rd. Ed. RCS Publication, pp. 34-96. .
Book chapter: Botkin, J,(2006): What do you meant by Socialist? : Social Science of Living Planet, 3rd edition, Pp. 14-48, RCS Publication, Gujarat. Tushar P, (2001): “Geospatial technology for disaster management”, International Conference on Disaster Mitigation and Management, PSNA College of Engineering and Technology, Dindigul, pp 234-238, . Roshan J, (2007): How to draw in Computers. IOP Publishing Physics Web. .
http://company.org/articles/news/11/6/16/2. Accessed 26 June 2010. All equations should be numbered in order from starting and the notations used in the various equations should be given after abstract. Authors are insisted to follow standard notations and SI units system even though it’s not mandatory. Images should be supplied without being inserted in tables, borders or any other format, they can be copy pasted in the required space. It will be better if the images are given in the last page, the quality of the image and the size should be proper. Sample paper/page format & copy right agreement given for your consideration. 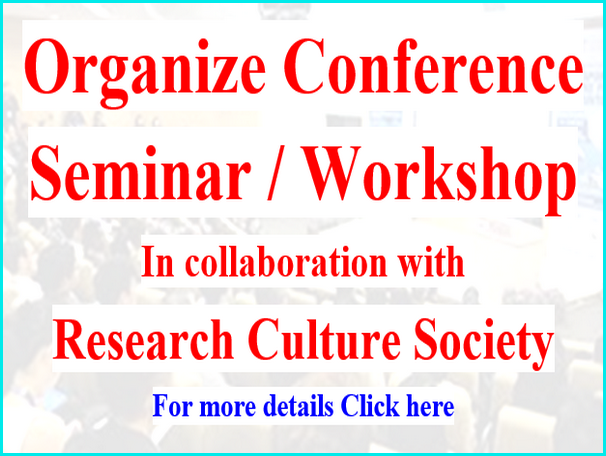 Author may download it and fill up with research details in it as per guidelines and submit to given E – mail.